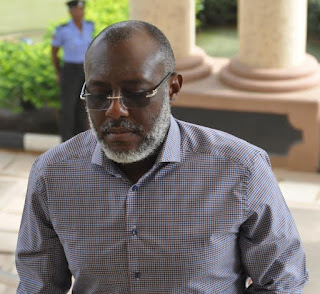 Former Publicity Secretary of the Peoples Democratic Party, Olisa Metuh has disclosed that talks have begun between his legal team and officials of the Economic and Financial Crimes Commission to facilitate his return of N400million traced to him from defence funds. The funds which were primarily meant to fight Boko Haram insurgents were shared to party officials by former Nigerian President Goodluck Jonathan through the office of the Nation Security Adviser. Mr. Olisah through his lawyer Onyechi Ikpeazu has issued a statement again reasserting his intention to return the funds in its entirety to signify his support for President Muhammadu Buhari's anti-corruption war. Metuh is currently undergoing trial for money laundering at a Federal High Court in Abuja. In the light of the circumstances regarding the case of our client, Chief Olisa Metuh with the Economic and Financial Crimes Commission (EFCC), we want to explain the reasons for our client's proposal to refund the N400 million released to him by former President Goodluck Jonathan, and which was expended on a project approved by the ex-President on national issues relating to his Presidency and the Federal Government at that time. 7. It is pertinent to restate our client's continued support for the anti-corruption campaign, which is necessary to ensure probity in the affairs of Nigeria to the extent that it is conducted within the rule of law. 8. Finally, it is our client's prayer that this nation shall come through this difficult time by the grace of the Almighty God.